It’s the Clown Shuttle from the Imperial Circus. 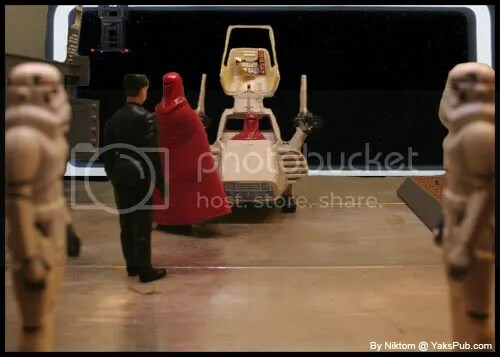 Someone’s in a lap in that thing. I thought they were going to keep coming for second. Like 6 of them coming out then Vader. 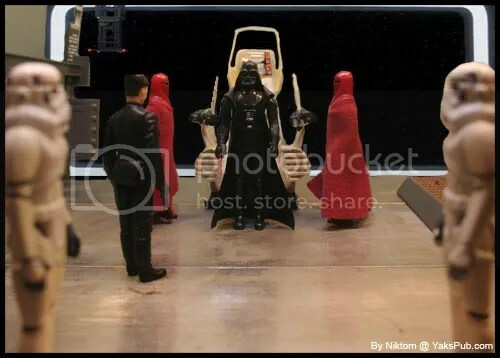 My original idea for this was to have the Emperor arrive and have a bunch of them come out, but I only have two guards so I figured it would be more fun to do the joke at Vader’s expense. 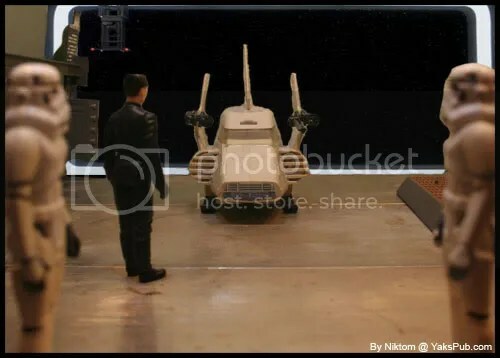 If you’ve got the photo-editing capabilities to drop in that background, you could have ‘splitscreen’ the two guards into at least four, and even six if you got really bold. You could double the stormtroopers as well. As long as the camera stays in relatively the same position, the two halves of the pic should be easy to line up. You’ve got a tripod, right? Man, I gotta admit, I have a special love for the little vehicle. 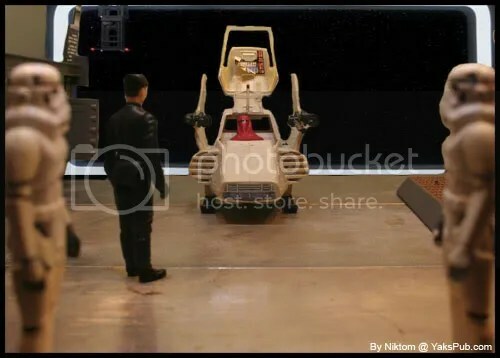 When I was a kid, my parents couldn’t swing a bigger vehicle, so I got that for Christmas, not knowing there was a larger toy, I used to do something very close to this when I played, lol. 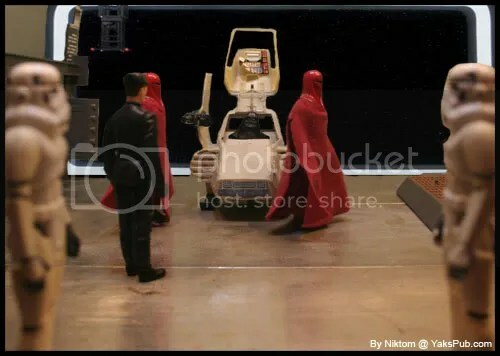 Of course, its even funnier when you said “Since I Don’t have that many guards, I thought I’d make fun of vader” LOL, kind of a double joke, one, the clown car shuttle, two, vader only ranks high enough for two guards, lol. Good stuff, keep it coming!